JW LAIRD, B'HAM, LONDON, BLE, 2 1/2", 30" choked IC/Lt Mod. 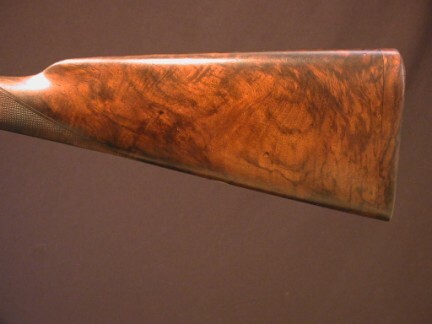 14 3/4" highly figured wood which includes a well matched 3/4" wood extension. Highly engraved floral and scroll action with ribanded fences and Greener style cross bolt. 6lbs 6oz. 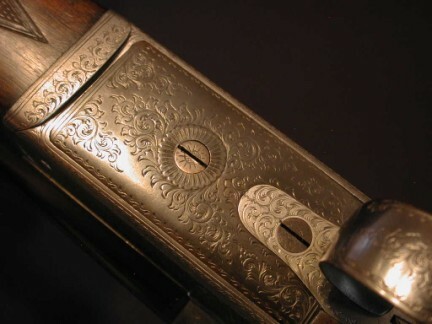 The gun is cased in a vintage leather case with a Harrison and Hussey label. 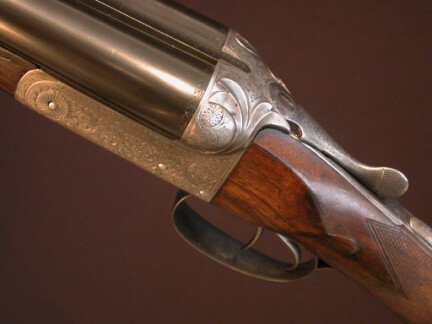 Laird was listed as a gunmaker in 1848 and was located in London between 1889 and 1896. 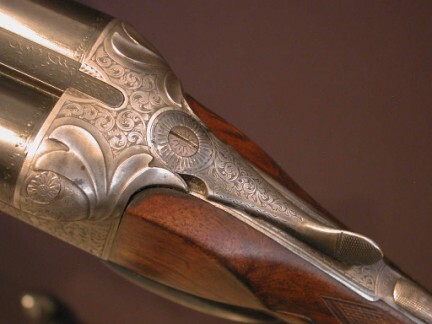 This gun ships as an antique.